Karim Benzema has supposedly flown-in to undergo a medical with Arsenal and his agent was understood to be at the Emirates on Sunday wrapping-up the move from Real Madrid, as reported by the Daily Star. Arsenal have been strongly linked with a move for Benzema this summer with Spanish outlet AS reporting earlier this month that Arsene Wenger has set aside up to £46m to try and finally land the French international. The Daily Star then quoted Italian journalist Emanuele Giulianelli as saying last week that Benzema had agreed personal terms over a move to North London with the four-year deal believed to be worth around £6.3m-per-season. 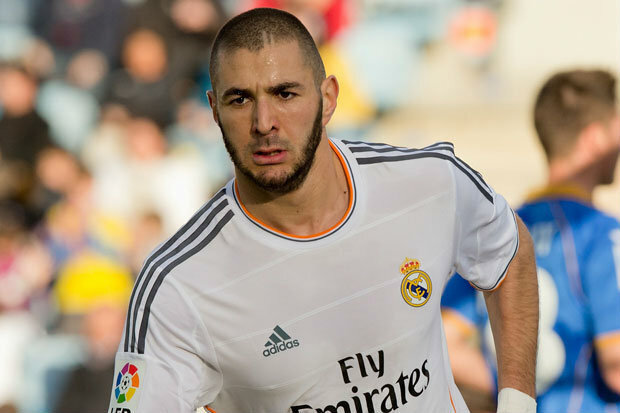 There have been even more intriguing developments over the past 24 hours with the Daily Star now citing ESPN presenter and long-time Real Madrid fan, Jeinny Lizarazo, as saying that Benzema was due to fly-in to London this weekend to undergo his medical. Lizarazo made the claims on Twitter yesterday before providing a further update saying that the 27-year-old strikers agent was at the Emirates on Sunday wrapping-up the finer details of his move from Madrid – although there has been no indication as to what kind of deal has been agreed with the Spanish giants at this point. Lizarazo’s claims come just a couple of days after BT Sport presenter Jake Humphrey’s also claimed on Twitter that he’d been told Arsenal were closing in on a significant deal [via the Mirror], so it does appear a move for Benzema could be on the cards. Arsene has publicly distanced himself from the speculation – which you’d expect from the Arsenal boss – but it looks like things are happening behind the scenes and obviously I’d love to see the French hitman come to the Emirates. Benzema is one of the best all-round No.9’s in world football and with a goal-scoring rate of 214 goals in 449 games throughout his career, he’d certainly bring another threat in the final third. There are some who still question whether Madrid would sell but Spanish football expert Graham Hunter told talkSPORT last week that they would be open to cashing-in at the right price because they need to money to finance a move for David De Gea due to their €500m debuts. We’ll have to see how things develop over the next few days but I personally think we are making a real push to land Benzema and his signing would be a welcome boost following our disappointing start to the season. It was reported few years ago that Juan Mata had flown to London to undergo Arsenal medical, only to know later that he was in fact joining Chelsea. I hope that this time it is really Arsenal that he is signing for. We need him. Why all these lies. Why would he join Arsenal, it doesn’t make any sense at all. We are sick and tired of rumour here rumour there everyday. All we need is signed. Bonaroca:- I hope that we Arsenal Supporters are not being taken for a ride. special bus stop for players whom are on the transfer market.